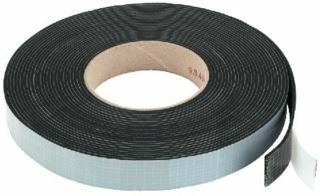 Enlarge Band Self-adhesive sealing tape made polyethylene foam in charcoal colour. We suggest MDM-5, I3349 or str-pe25tape for hi-fi and MDM-20 for PA applications. 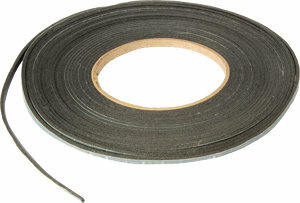 Enlarge Speaker foam sealing tape, grey. 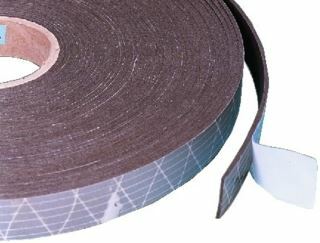 20m of self-adhesive sealing tape (2x20mm), grey PE foam, suitable for hidden applications in do-it-yourself speaker building concepts. Enlarge Speaker foam sealing tape, 5 pcs. 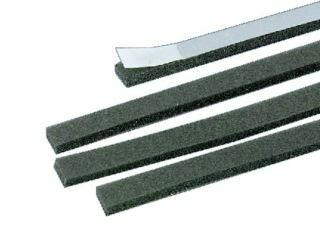 of 150cm each, self-adhesive sealing (2x5mm), ideally suited for speaker mounting. Enlarge 3m of black, elastic tape, very flexible to be formed and used. 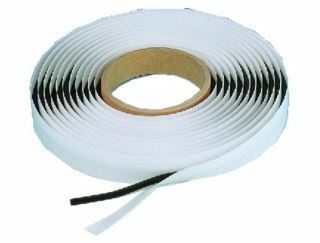 Enlarge Rubber sealing tape for speakers, black. 10m of self-adhesive sealing tape (2x20mm), jet-black rubber foam, highly flexible, permanently elastic, suitable for black speaker systems, for visible applications in do-it-yourself speaker building concepts, e.g. as an underlay for metal front grilles.